You like it quick ‘n easy? Not too much of a mess? Then, this is the perfect recipe for you! These roasted vegetables are quickly prepared and the simple recipe can be easily adapted to whatever is left in your fridge. Variation is the name of the game here! Plus, it’s ideal to squeeze in a short indoor workout while your veggies are sizzling in the oven! 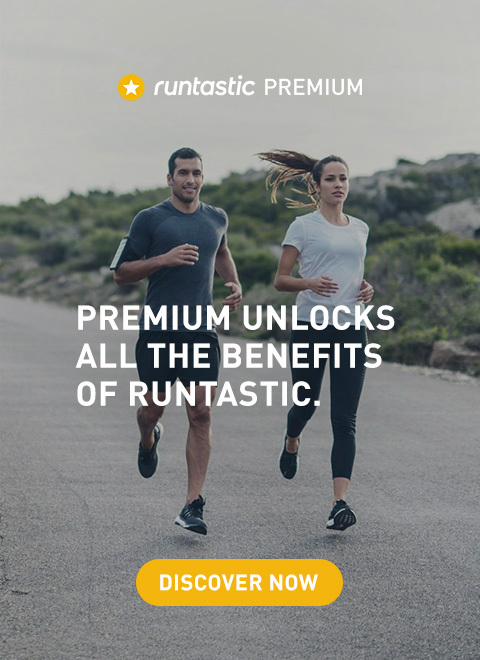 Runtastic Fitness Coach Lunden even came up with a great workout that fits the purpose. Make the most of the waiting time & tone your body. Ready, set, go! 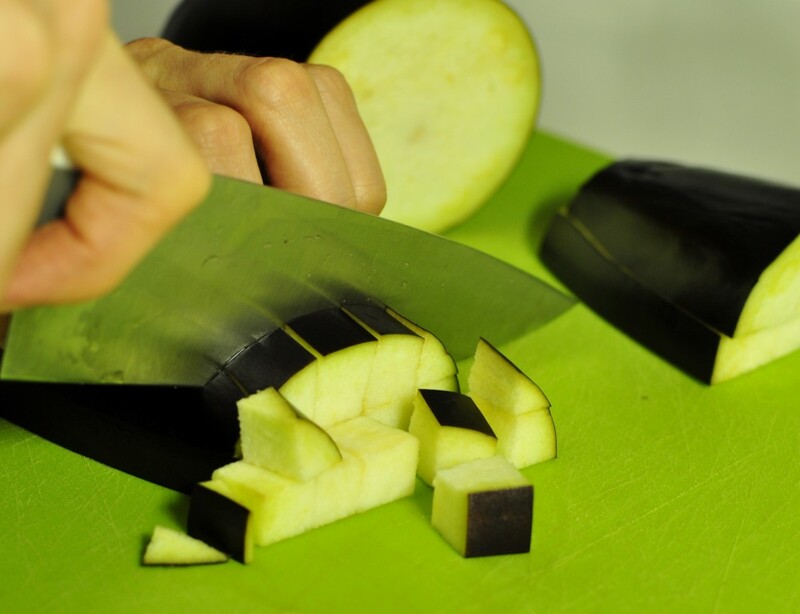 Rinse the eggplant, zucchini and tomatoes under warm water. Peel the potatoes. Peel and cut the onion in six wedges, then halve again. Cut the cherry tomatoes into quarters and then chop the remaining vegetables into cubes of approx. 1 cm. 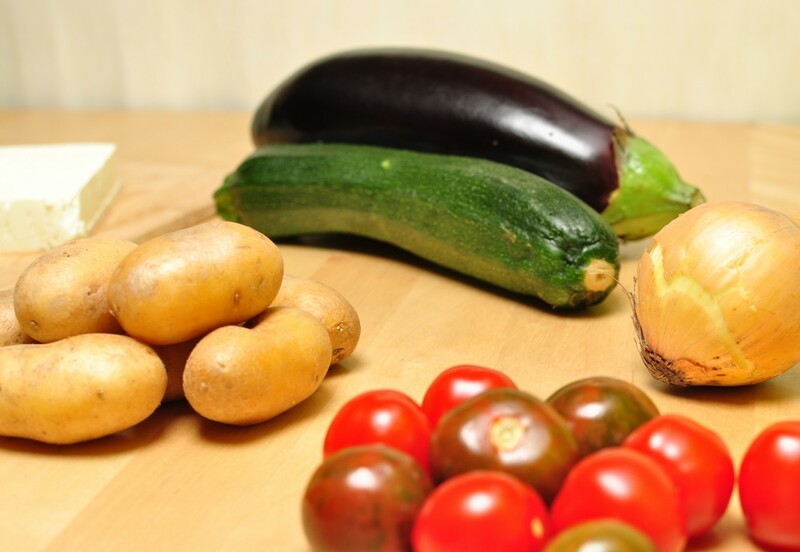 The smaller your vegetables, the shorter the cooking time. 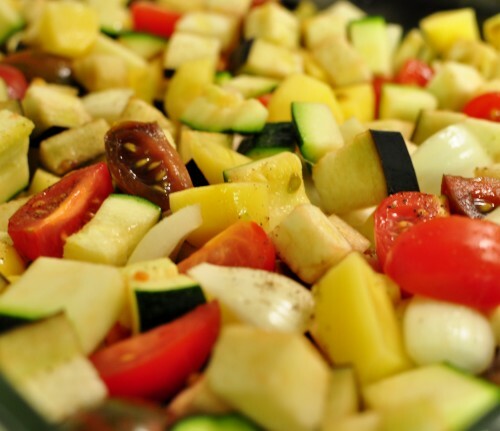 If you want to reduce the preparation time, cut the veggies into larger pieces and extend the cooking time! Put the chopped vegetables in a baking pan and toss with olive oil, salt and pepper. Bake for approx. 30 minutes, stirring once after half the time for a more homogeneous cooking process. Now, do something for that body! Work out in the kitchen! 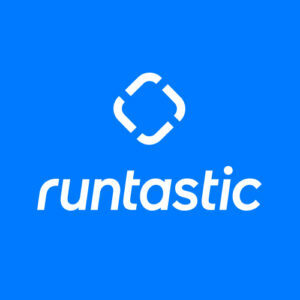 Our Runtastic Fitness Coach Lunden shows you how to do it & has set up a quick workout for you! When you set the timer for the food, that timer can also be used to time your exercises – clever, hm? Then rest for one minute. Repeat the circuit five times. This makes for a great total body workout that takes exactly 30 minutes! These exercises are based on time, so everyone can do it – just stay within your fitness level for each exercise and each minute. Whether you can do 20 squats in a minute or 50, it doesn’t matter – it’s really just about giving your best and making use of the time! 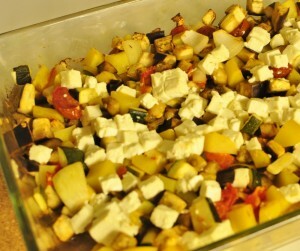 After 30 minutes, scatter your feta, which can be crumbled or cubed, over the vegetables and roast for another 10 minutes. And, last but not least: ENJOY! → Try mixing your veggies with couscous. In this case, leave the potatoes out. Just pour boiling water over the couscous and leave to soak for a few minutes. It’s as easy as pie & delicious in both warm dishes and salads! → Instead of potatoes or couscous, you can add two slices of crumbled whole grain bread (e.g. pumpernickel or nine grain bread) together with the feta cheese. → Feel free to season to taste. Why don’t you try a little curry, or a Mediterranean spice blend? 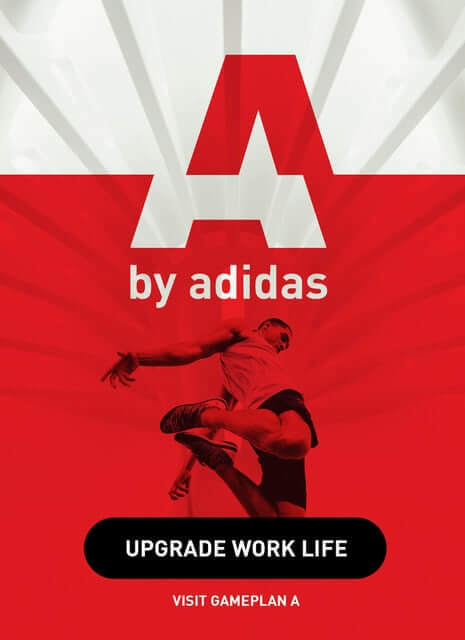 → Get creative! This is the ideal recipe for all the veggie leftovers in your fridge. Just make sure to chop vegetables with longer cooking times into smaller pieces and those with reduce cooking times into larger pieces!